US president flattered by Trump flag waved at celebration of Likud victory. 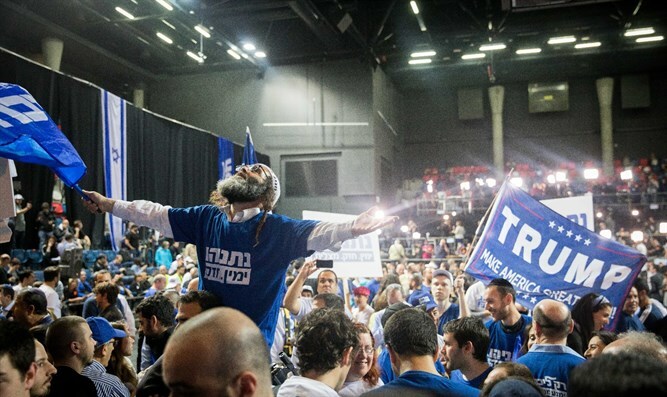 A Likud supporter waved a Trump campaign flag at a celebration of Prime Minister Binyamin Netanyahu's apparent victory in yesterday's elections. The flag, which featured the slogan 'Make America Great Again,' caught the attention of US President Donald Trump. 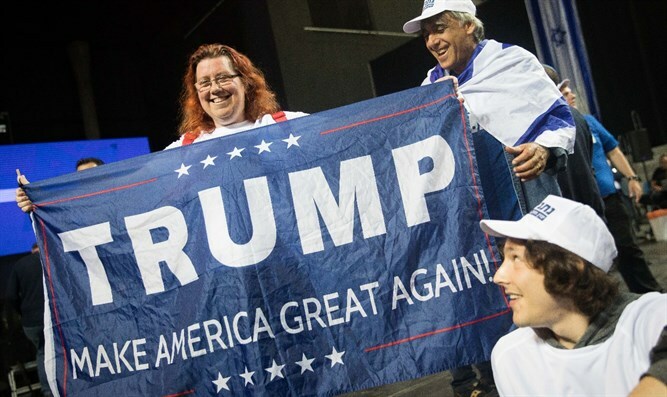 "Trump flags being waived at the Bibi @Netanyahu VICTORY celebration last night!" the president tweeted. President Trump congratulated Prime Minister Netanyahu Wednesday, saying that the election results were a good sign for peace. "The fact that Bibi won, I think we'll see some pretty good action in terms of peace," he said.